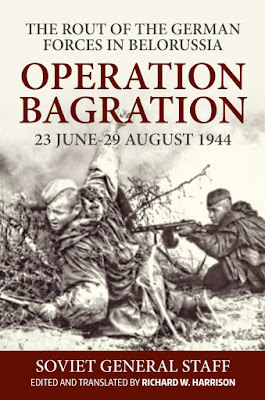 The Rout of the German-Fascist Troops in Belorussia in 1944 covers the Red Army's Belorussian strategic operation the linchpin of the ten major Soviet offensive efforts launched that year to clear the country of the invader. During the course of this operation the German position along the western strategic direction was destroyed and the stage set for an advance into Poland and Germany. The success of this operation also set the stage for the Red Army's subsequent advance into the Baltic and south-eastern Europe. Like most works generated by the General Staff, the Belorussian study divides the operation into two parts: preparation and conduct. The first deals with the massive efforts by the First Baltic and First, Second and Third Belorussian fronts to accumulate the men and materiel to break through the German defences in the swampy and forested terrain of Belorussia. This section contains valuable information on the overall correlation of forces, equipment and troops densities along the breakthrough sectors and Soviet plans for supplying the offensive, as well as detailed information regarding the employment of the various combat arms. The second part deals with the actual conduct of the several front operations that made up the overall effort. This section covers the initial breakthrough battles and the encirclement of the Vitebsk and Bobruisk garrisons, followed by the capture of Minsk and the encirclement of sizeable German forces east of the city. The narrative then continues with the the follow-on operations to cut off German forces in the Baltic States and to seize crossings over the Vistula River in eastern Poland. 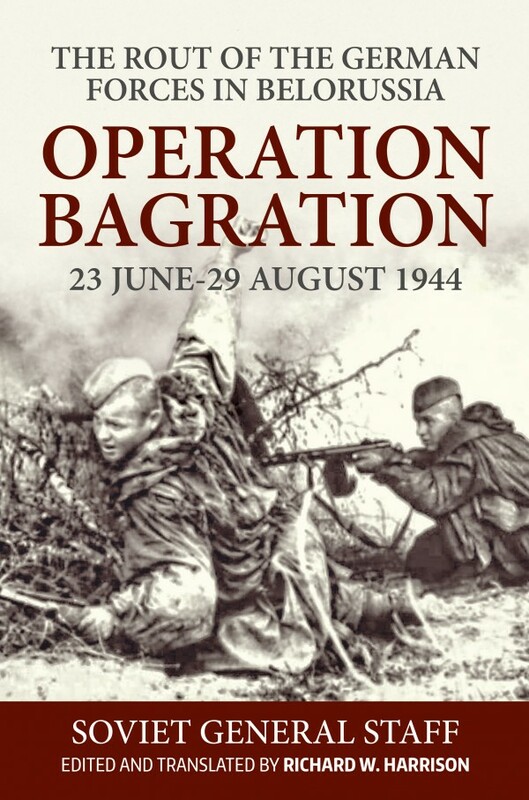 Compiled and written by professional staff officers, this study provides a detailed look at the conduct of one of the major operations of the Second World War. This latest work, along with other studies in this series, offers another insight into the Red Army's conduct of the war at the operational-strategic level.